Sweet Julia Boutique: Mermaid Tails! 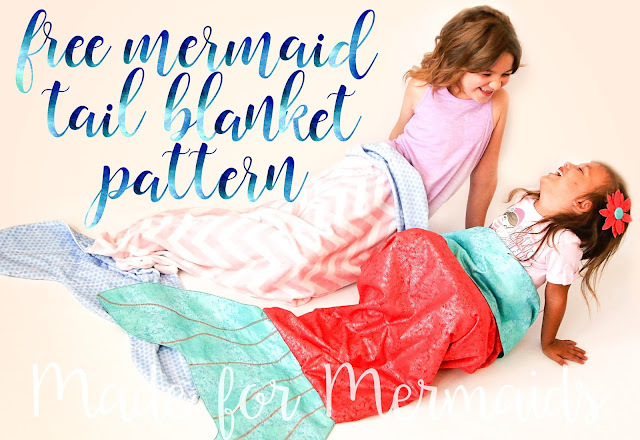 For The Made for Mermaids pattern group on Facebook, follow the link HERE, the group is full of information, support, contests and freebies for all Made for Mermaids fans! And, if you need a video tutorial on how to create the original blanket, Megan has created a video just for you! This is a really fun project, I hope you enjoy it as much as I do. Many thanks to Megan for allowing me (and fabric.com) to share her pattern and also for taking fabulous photos of my girl and hers together, they are the cutest little mermaids!